Go See This Business on Your Own...Select "Get Name/Address" and you're on your way! Nice Looking Quick Serve concept…put your own concept in for a fraction of TI, startup costs and delays! This space would easily be over $150K to build out. Requires a new concept...many concepts will work well here. This is a nice area of Roseville in a nice retail center with major grocery anchor tenant. Decor Interior and Kitchen are all there. 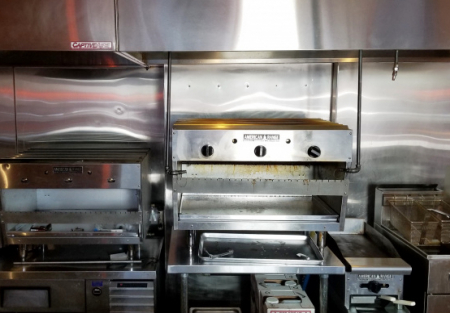 FF&E: Full Ansul Hood System, Walk-ins and more...landlord owns a large portion of the ff&e, it is part of the lease for tenants use...most of the cooking line equipment is seller owned. Patio seats more than most and on end cap next to Anchor tenant with great exposure. Lease: Reasonable Base Rent at $3,059 + $1,170 NNN - Total $4,229…All In for 1,800 sq. Ft. plus huge patio! Lease Expires May 31st, 2024, Plus 2 x 5 year options. No financials will be provided. Business is currently not operating...you can see center and through windows, but need an appointment to see more details on the inside. Reason for selling: Seller needs to let this space go to focus on other business. Back on the Market...Seller lowered price for Quick sale! Bring your concept and SAVE Big! Restaurant with Full Hood system ...Low Price.